The rigging hardwares are the metal stress tools for the moving of objects between lifting machinery equipmements and lifting objects, as well as the force to stabilize the space structure. Widely used in Ports, Power, Building, Metallurgy, Chemical Industry, Engineering Machinery, Bulk Transportation, Pipe Linings, and some other important industries. Its main components include: Wire rope clip, Chain Sling, Shackle, Hook, ect. The shackle is the most widely used connection tool in lifting operation due to its small size and large bearing weight. It is generally used for the end fitting of cables, and is connected directly to the suspended object in the hoisting operation. 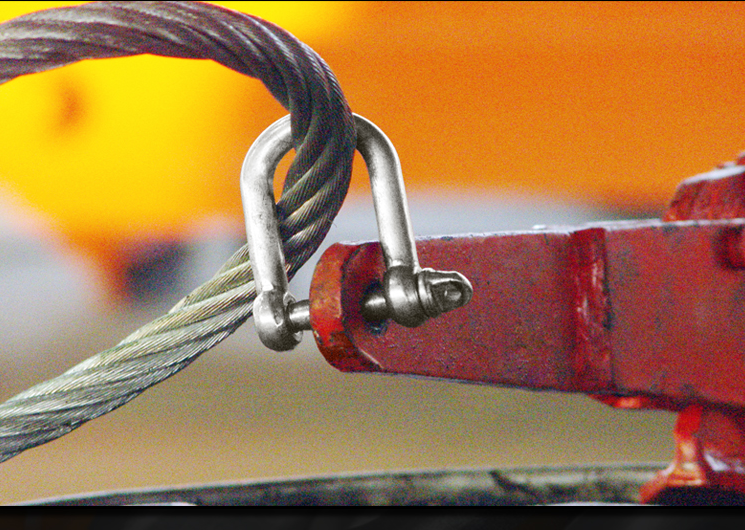 When the rigging is used with the crossbeam, the shackle can be used to connect the top of the cable to the ear plate at the lower part of the beam for easy installation and disassembly. Metal forging is a kind of manufacturing method which uses forging press to exert pressure on metal billet, thus to form plastic deformation on the billet to obtain a near net shape or net shape component with certain mechanical properties, certain shape and sizes. 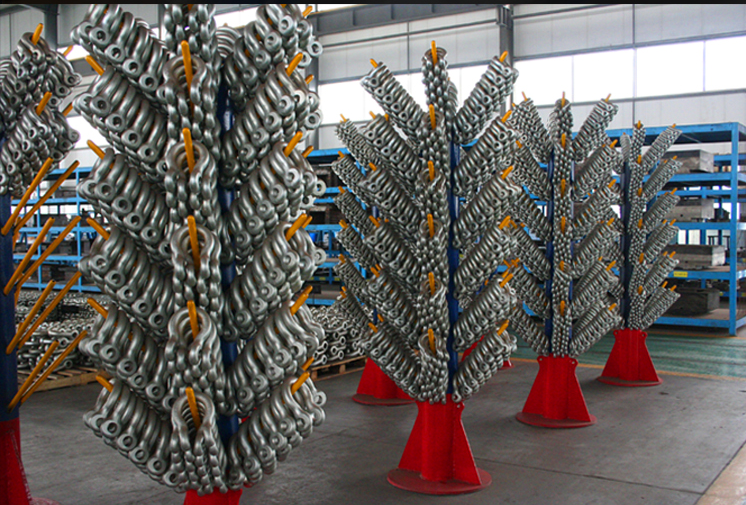 Because of the deformation and recrystallization of the metal, the structure of the shackle has become more compact, and the plastic and mechanical properties of the shackle have been improved. Therefore, it is generally used in machinery with high load, large force and severe working conditions. Different forging methods have different processes. The process of closed die hot forging is the most common forging method for small precision metal components. Main Procedures include: Cutting; Heating; Roll Forging; Die Forging; Trimming; Punching; Correction; Intermediate Inspection; Heat Treatment; Clean up; Correction; Inspection and Nondestructive Testing. Cutting: Cold cutting by 5000kN type shears. Heating: Using semi-continuous furnace, 1220-1240. Closed Die Forging: 1.5t die forging hammer, the long drawing, rolling, preforging, finish forging. Produce about 1100 pieces per shift. Hot Trimming: 1600kN trimming press. Punch Holes: Using punching machine. Polishing flash & burrs: Using grinding machine. Heat treatment: Continuous heat treatment furnace, quenching and tempering. Pickling: Dipping forgings in pickling tank to remove oil dirts. Forging technology is indispensable processing method of components with strength requirement. Rigging shackle by forging process has the advantages of eliminating the defects such as metal loose, optimizing the structure of microstructure, keeping the intact metal flow, improving the mechanical properties and physical properties, saving the cost and guarantee the quality. Our forging company produces rigging shackle, selects the high quality alloy steel material, with the use of advanced forging production line, and the intermediate frequency furnace heat treatment. All the rigging shackles have the features of high strength, good toughness, small volume, light weight, smooth appearance, and good durable.